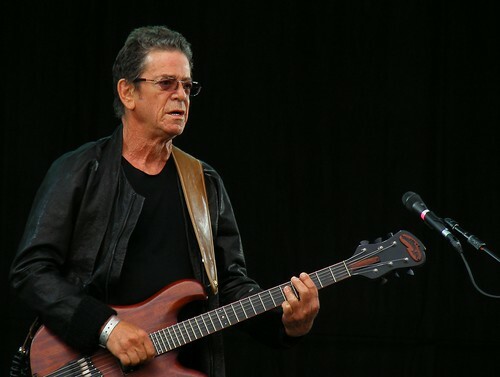 Lou Reed jamming at Hop Farm Music Festival in July 2011./PHOTO VIA Flickr user Man Alive! There is nothing more heartbreaking than to see someone go, but even more painful when they contributed so much during their lifetime. Today, as a special post, I would like to dedicate this post to the passing of music rock god, Lou Reed, who at the age of 71, passed away on Oct. 27. Reed, who was a founding member of the rock band, The Velvet Underground, paved the way for musicians who had ideas that were not commercial. Musicians who were independent and who looked to music as a way of self-expression. As a musician, Reed contributed as a member of The Velvet Underground, as well as embarking on a successful solo act that would put his career at spanning over five decades of music. While his career is important, Reed’s personal, independent thought, as a musician made him stand out as a true artist; Reed said what he wanted without fear of judgment or rejection. Because of his defiance against those who would try to mold him into a more “commercial” or “profitable” artist, he stands as an idol for those who wish to express themselves just as openly and without fear as he did. These are brave and truthful words for a young man facing the blank pages that would become the rest of his life. And here serves the truth behind the power of Reed; his attitude of personal self, and ability to make the best of life and every situation, including liver disease. Liver disease would eventually kill him, but Reed proved himself to be a man of great stature and composure, as well as strength and determination. A great man died, but a legacy lives on. Rest in peace, Lou Reed.